When you experience chronic stress, one of the best medicines is meditation. Exercise and eating healthy are two other ways to combat stress. Chronic stress can kill your quality of life in various ways. This is the case for many Americans who have dealt with it. The good stress is the ‘fight or flight’ mode that our ancestors reacted to in order to survive. After all, if you were hiking in the woods and were faced by a wolf, what would you do? You wouldn’t want to turn around otherwise there will be deadly consequences. If you were wise enough to arm yourself with a firearm, an arrow, or a hunting knife, it can save you if you were about to be this wolf’s lunch. The stressful moments you face will trigger that ‘fight or flight’ moment. In other words, most of the time when you are faced with stress, there’s going to be some things sacrificed that you may not agree with. If you aren’t aware of it, then your health can spiral downwards because you are ignoring your own well-being. “Burning-off” excess stress hormones while sleeping is possible. Your body needs rest and when it’s gotten to the exhaustive phase, a nap in the late afternoon will help a lot. Studies have shown that by resting 20 minutes a day, you will boost your energy level for 4 hours. 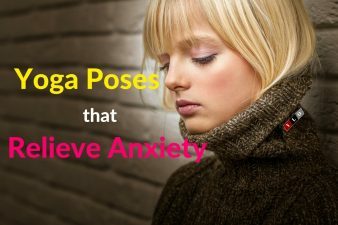 When our adrenaline and cortisol begins to react through our body, our pain is handled because of the overwhelming feeling we get during the course of this episode. This is one of the main reasons you need to remember so you can alleviate chronic stress. When people get stressed out, it causes them to have one of the important systems in their body go into overdrive. When this happens, you can bet that you’ll suffer from a myriad of illness. There are these immune compounds sent to the system called cytokines. This causes inflammatory responses and it isn’t healthy for the body. Many diseases and health conditions are contributed to inflammatory responses (i.e. cancer, heart disease, diabetes, asthma…). Learning is going to depend on memory usage. Chronic stress can block you from “accessing” memories you may have. This is why it’s good to do trivial games and puzzles. It is not good to work “under pressure” all the time. 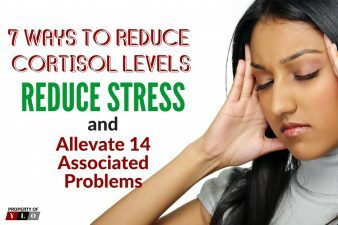 This is what happens: the (stress) hormone “cortisol” does filter your glucose to muscles when stress hits. It’ll affect you because it’s hard to concentrate. Thus, you rush and become an accident ready to happen. It will have bad effects on memory and learning where it ends up destroying brain cells. When individuals allow stress to eat at them, they increase the ability to get heart disease. Heart attacks and strokes are other conditions that can appear because of stress. It’s been studied and researched at the Franklin Institute that heart rhythms increase by force so the heart rate follows. It affects a whole lot of components in the heart. Leave chronic stress at the door. Take care of yourself as much as possible by meditating and taking it easy when you feel stressed out. This is one of the health issues that can come from stress. When you see someone you know who is the same age as you, but they look stressed and it shows it, it’s because chronic stress affects them physiologically. The process that it creates on a brain and skin is pure aging. Since we lose brain cells, we naturally age. Toxins get delivered to the “blood-brain barrier” and the cortisol damaging the hippocampus, learning, and memory, plus the functioning of the brain all get affected. Chronic stress can affect those who care for sick children and the elderly by 10 years! The main reason is that it caused them to not regenerate red blood cells while stressed at their job. It can contribute to arthritis, osteoporosis, and cardiovascular diseases. Gaining weight is common for individuals who have chronic stress. Since digestion is linked to weight, it’s also common sense that there will be a digestive disorder with stress. There are worse elements that also stem from both and that is ulcers and an inflammatory bowel disease. With a cramping stomach or constantly having diarrhea and constipation, it’s common for a doctor to blame it on chronic stress. Other health ailments that stem from it are acid reflux and a bloated stomach. Again, this stems from the stress response which affects the body’s digestion. How it happens is the cortisol (again) contributes to cravings, basically. Some of these cravings are for salty, fatty, and sugary foods. These are unhealthy carbohydrates which help balance the hormones that are linked to our stress responses. Because of this “smoothness,” it can become a habit. Stress can cause us to feel pain. The headaches, backaches, neck pain, muscle soreness, and other arthritis type pain can worsen because of stress. Aspirin can help, but painkillers may become a problem if you “candy-coat” it with legal or illegal drugs to ward off pain temporarily. In fact, it deepens pain after the drugs wear off which is the worse thing to do to yourself. Therefore, exercise or taking a walk can really help ward off pain in a much healthier way. Simply, think of the consequences, “Do I really want to worsen my pain when the painkillers wear off?” Otherwise, you’ll be in a habitual cycle of taking and getting meds long-term. When individuals are undergoing stress, performance can be difficult for both males and females. The erectile dysfunction in men and women’s lack of sexual desire are common when dealing with stress. PMS becomes more severe for women and may even affect a woman’s fertility. The premature rate and miscarriages in women are due to stress while they’re pregnant. 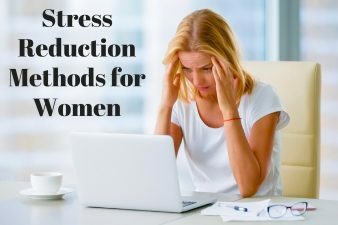 In other words, stress will make the hormonal changes which are associated with menopause. When you have a hormone imbalance issue, your skin will lack the blood flow needed to glow. Because of this lack of blood flow, it affects some of your body. Your teeth, your hair, your skin are all affected and even hair loss and gum disease are due to stress, yet other physical ailments will be affected due to chronic stress such as the following. Psoriasis, acne, hives, and Eczema are all reactions to chronic stress. When you really think about it, it really isn’t worth the negative energy we put ourselves through if we allow it to enter our lives. It literally “eats us from the inside, out.” This is one thought to think about when we’re under stress. When chronic stress plagues a person, they can develop mental and physical addictions which are all part of behaviors that worsen when not treated. Some people will start drinking excessively, take drugs, gamble, watch excessive T.V., or escape with excessive eating to combat chronic stress. There are various other ways that contribute to stress that make us compulsively disordered. We never think about them until it’s too late. The health conditions which arise from the bad habits can be controlled. The main catalyst though is, again, allowing chronic stress to take over our lives. 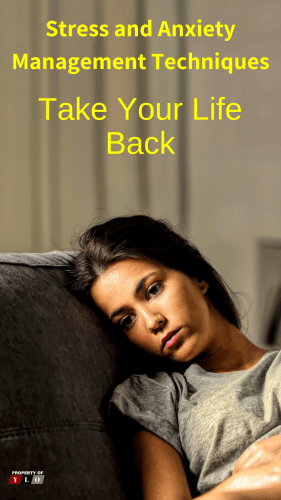 Finally, these ways chronic stress is killing your quality of life can be managed by way of exercise, meditation, medication, and by avoiding negative surroundings and people. There are so many ways to deal with it but the first is that you must recognize you have chronic stress. Talking to a medical professional about such a disorder will be the best thing to do first and foremost. With the right stress management program, you can beat it whether you’re a minor or senior citizen. Dealing with people who have their own issues can technically “rub off” on you as well. The best way to combat those people is to avoid them for a cooling down period. One of the best things to do is going for a walk. If it’s too late to leave at night, try mediation or jumping in a bath full of bubbles and listen to some happy or calming music. There are many ways to avoid such negative stressed out people. If it’s difficult to get away from them because you live with them, or they’re your roommates, you can mentally leave via meditation. What if you can’t because you work with them, live with them, or related to them? There are many ways to combat stress with various wise moves and abilities which are all part of our ability to survive. The innate survival mechanisms we have as human beings can do wonders for us when we need it most.